Training puppies is fun and exciting, and will encourage strong bonds for both you and your pet. It is also very important for the development of your puppy and will equip you both with skills that will last the pet’s lifetime. 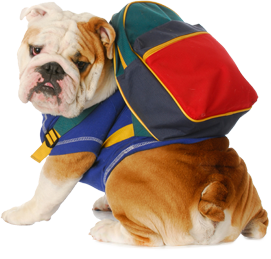 Puppy school classes are run in a small group, controlled, safe environment at our Craigieburn clinic, and operate over four weeks in one hour sessions. Puppies should be enrolled by the time they are 14 weeks old and can begin one week after their first vaccination.